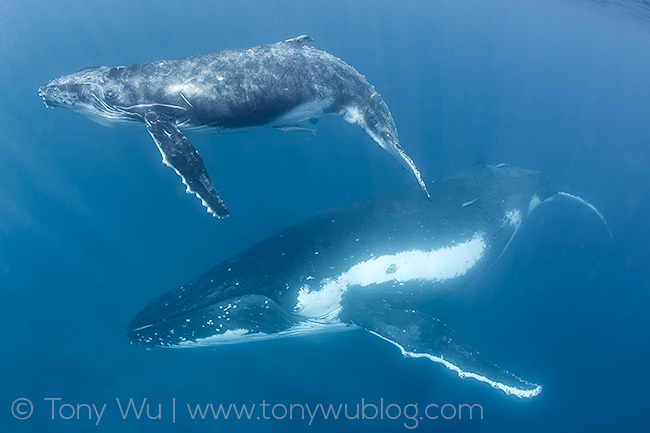 I've unpacked, re-packed, and I'm off to the airport again, crossing hemispheres for my 15th season with humpback whales (Megaptera novaeangliae) in Tonga. 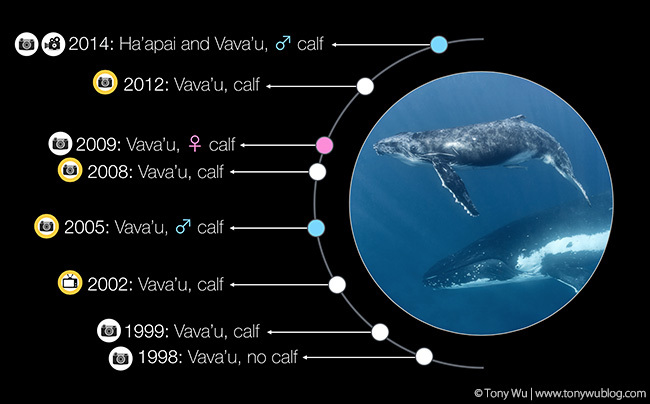 There's a reasonable possibility of her giving birth again this year, and given her fidelity to the Tongan islands, I'm hoping someone spots her again. The dot is toward the front of the whale on her left side, and more toward the rear on her right side. Click here to view a PDF file with sighting information and more photos, and here for my post about her most recent calf in 2014. 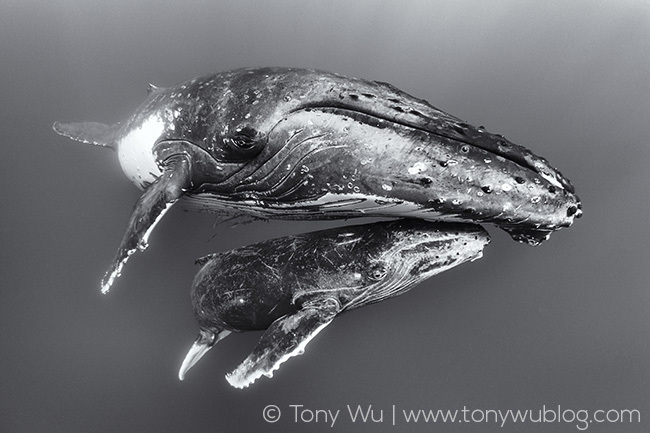 For friends travelling to meet some humpback whales with me in the coming weeks...see you soon! And if you're interested in joining me later this season, please contact me about two spots that I still have available. For reference, here's my summary write-up from last year.